What Style of Salsa Do you Dance? 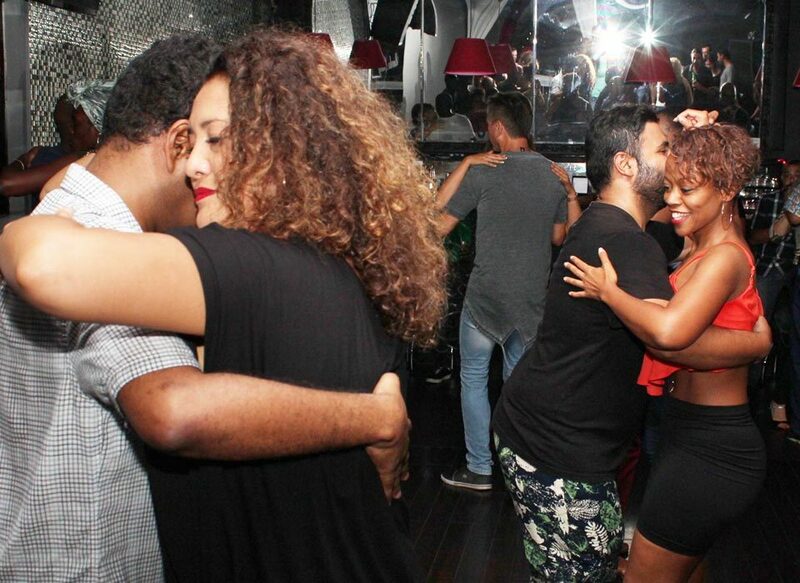 Just like language presenting different accents depending on region, salsa dancing comes in a variety of different styles that you can opt to dance. Originally from Cuba with its movements deriving from Cuban Son, cha cha cha, and mambo, salsa became popular in other parts of the Caribbean such as Puerto Rico and Colombian coastal cities. In the 70s, when salsa music started being marketed and produced in New York for the North American market, salsa dancing started becoming more popular in North America and other parts of the world. Salsa dancing has evolved over the decades into several different styles as it became popular in various parts of the world..
Cuban style salsa dance, known in Cuba as Casino dance, originated in Cuba in the 1950s, and is very popular in many places in the world including Europe, Latin America and North America. Many of the figures of Cuban salsa as a partner dance derive from Cuban Son, Cha cha cha and Danzón. It also incorporates many body movements and styling from Cuban Rumba, Afro-Cuban, Mambo and even Reggaeton these days. Cuban style salsa dance can be danced both as a partner dance, a solo dance (salsa suelta), or as a group dance (Rueda de Casino). In addition it can be danced on rumba timing (“on 1”), on contratiempo (“on 2”), and a tiempo (“on 3”). Cuban salsa is a circular dance, meaning the couple performs many of the turn figures while travelling together in this circular dance space they share. A direct derivative of this style is the Miami salsa dance style, developed by Cuban immigrants in Florida, where they added North American cultural references to casino dance they brought with them. The Los Angeles style salsa dance, also known as LA style salsa, is one of the most common styles of salsa danced in North America and throughout the world. Originated in LA, LA style salsa is danced in a slot (or line), hence is a linear style of salsa dancing. It is always danced “on 1”, meaning the dancers do the break step on the first count or the measure or musical phrase. This is the reason why many people refer to this style as “On 1 salsa” although this designation is incorrect as the timing of the steps per se do not dictate a style and several other styles such as Cuban and Colombian styles also use the same timing. LA style salsa has many influences from Latin Hustle, Swing, and Latin Ballroom, and its presentations tend to prefer big flashy lifts and tricks. Albert Torres, Francisco and Luis Vazquez, Alex Da Silva, Josie Neglia are some of the names often credited with early development and popularization of the LA style of salsa dancing. The New York salsa dance style, also known as NY style salsa or “On 2 salsa”, is a linear style of salsa dancing, just like the LA style, generally considered smoother and groovier than the former. It is usually danced with the break step done on the 2nd beat of the measure, hence called “on 2 salsa”. It originated in New York City and it was popularized by Eddie Torres. 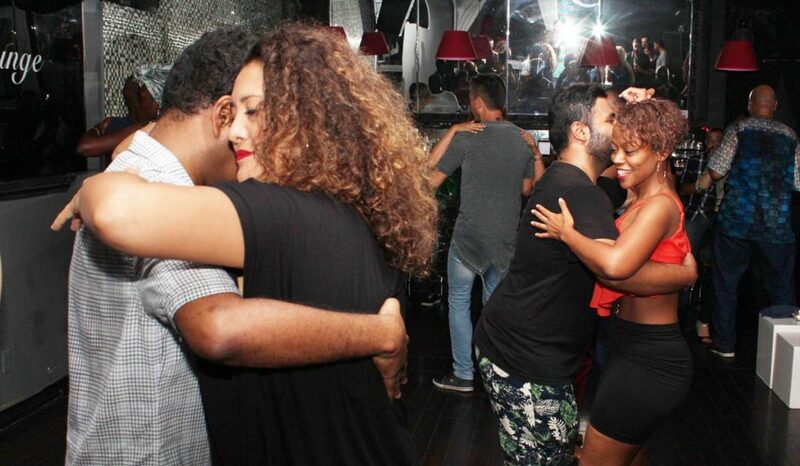 This style of salsa is also sometimes called mambo mainly because the style of music that was mainly danced to was mambo music, but it bears little connection to the original mambo dance from Cuba. The Colombian style salsa dance, also known as Cali style salsa, is a circular style of salsa dancing, just like the Cuban style, that is characterized by fast footwork all while the upper portion of the body remain fairly rigid. The footwork is very syncopated and includes skipping steps which is unique to this style. Colombian style salsa originates from Cali, one of the main cities in Colombia, where it is extremely popular and is considered almost like a national sport with many schools and competitions being held. Its main dance influences are Cumbia, a traditional dance from Colombia, pachanga and boogaloo.